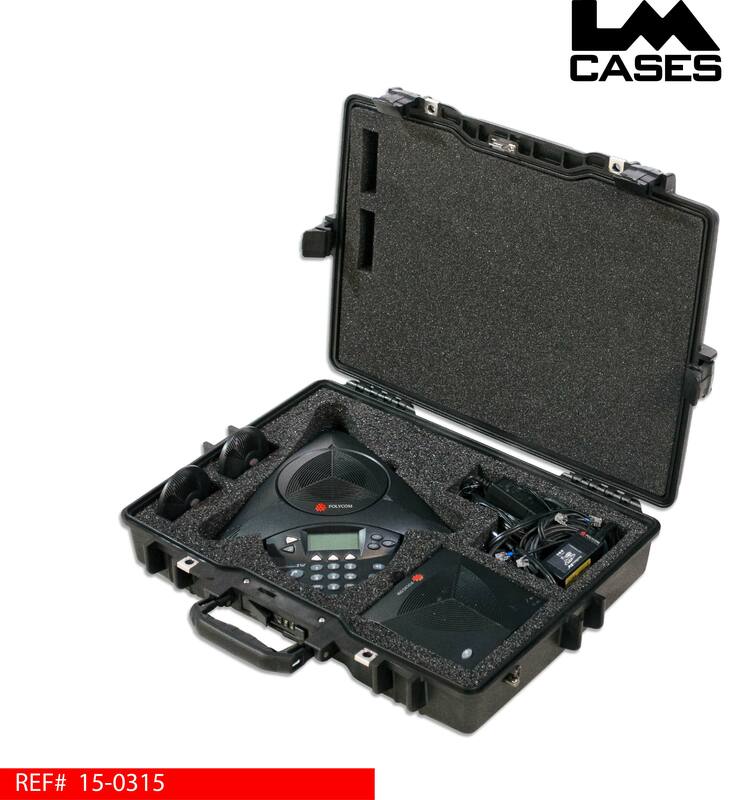 This case was designed for PSAV to hold a Polycom Soundstation 2W conference system. 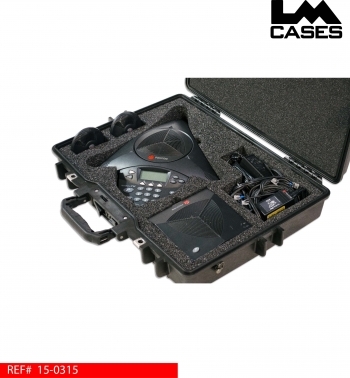 The system compromised of the base unit and two micropone array units, aux speaker and accessories are held in a custom CNC cut PE foam insert. 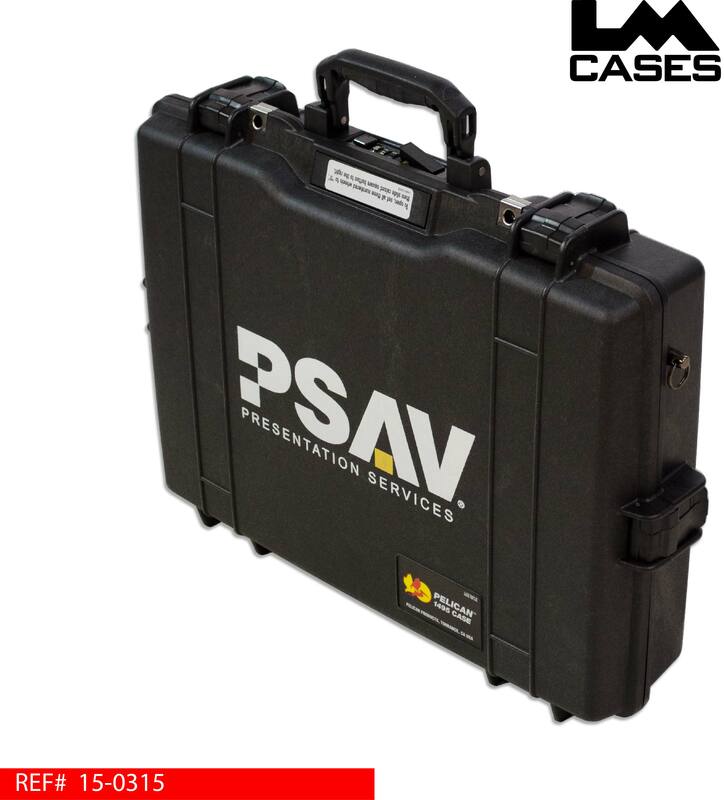 The insert is mounted in a Pelican 1495 case with a custom 2 color silkscreen of the PSAV logo.